Hey guys! Long time no talk! If you've kept up with my Instagram (which you should be... instagram.com/oliviasheastyle, shameless plug!) then you know that I've been keeping pretty busy lately. I just got back from a trip to California part of which will be up on the blog Wednesday, and I have also been working on decorating my apartment and making it feel like home. In addition, I've had a couple of other things come up that have briefly shifted my focus and made it hard for me to find the time to get blog posts up, but now that I'm getting into the swing of things and life is slowly going back to normal, I thought I'd FINALLY post the apartment tour I've been promising you guys forever and give you guys a little life update! 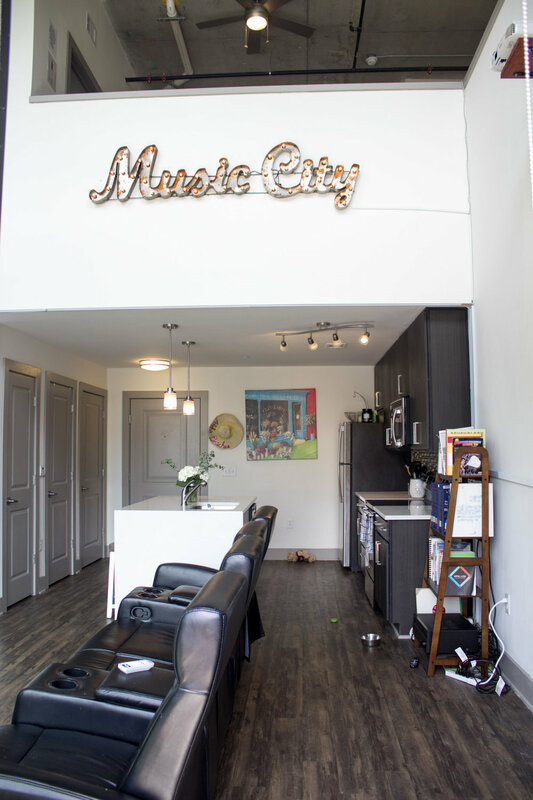 First off, I know I've mentioned before that we will be putting our apartment on Airbnb for CMA Fest, which is one of the reasons I've been spending so much time getting it decorated and cleaned. BUT, if you follow along with my insta stories you know that we've now signed on a second apartment, which we will be AirBnBing full time! 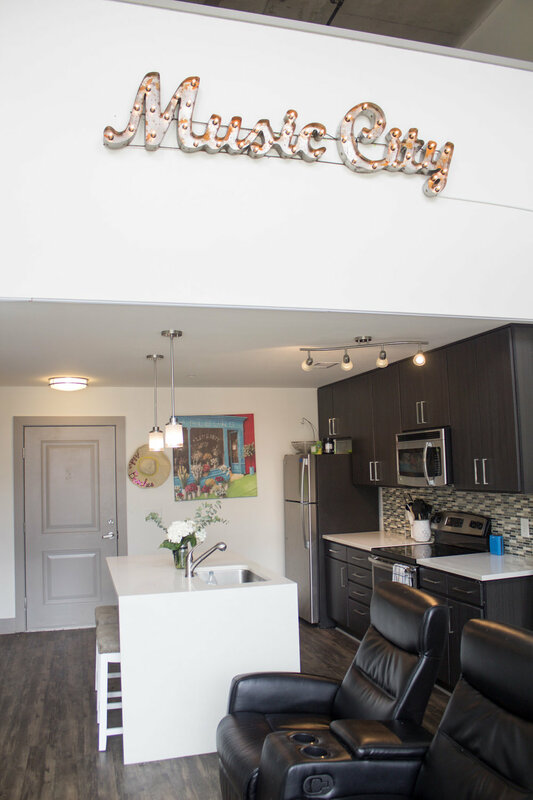 So we have also been working on getting apartment #2 furnished, which has been taking up a lot of my time! What this means for you is that you'll be getting a second apartment tour post in the near future! The second one is going to be super girly and also very Nashville! I'm absolutely LOVING how it's coming together and I cannot wait to show you! The second reason I've been a little MIA lately is that I've just started my very first post-grad job! I started this past Wednesday, so I've been busy figuring out how to balance work, the blog, and having a life--all while decorating two apartments. I'm working on getting back into a routine, and will hopefully be putting up blog posts much more regularly from here on out! I'll have my first California Recap up on Wednesday, but until then, scroll down to see the full apartment tour! My coffee table is from a garage sale, my cow skull and music city sign are both from a local Nashville store called Cool Stuff Weird things, and my bedding is from Home Goods! But I've linked everything else for you below!